Young Adult Fiction - Clay has a problem. He just moved to Colorado from Arizona. He was the football star at his old high school, but in colorado the team will barely acknowledge his existence. Even worse, they are constantly trying to make him look bad. To make matters worse, he thinks he's in love with the head cheerleader who is going out with his mortal enemy from the football team. Clay decides to ask God for a friend. Isaiah, a true Nephite warrior from the city of Manti, suddenly appears in his room and announces that God has sent him to be his new friend. Clay is nearly convinced it was all a dream until he realizes he still has Isaiah's amulet. On one side of the leather in Hephite characters are the words, "Arise my sons and be men." Isaiah teaches Clay many things, and in turn Clay teaches isaiah how to fit into modern society. Clay learns many lessons about judging, making friends, and about being a friend to start with, both on and off the football field. About Matt Hyer (Author) : Matt Hyer is a published author of young adult books. 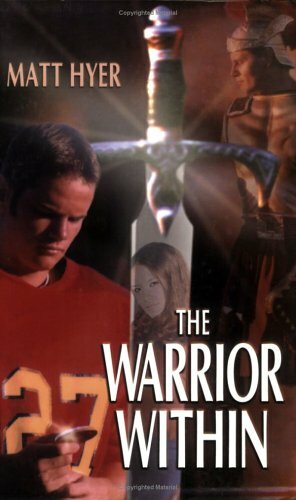 A published credit of Matt Hyer is The Warrior Within.